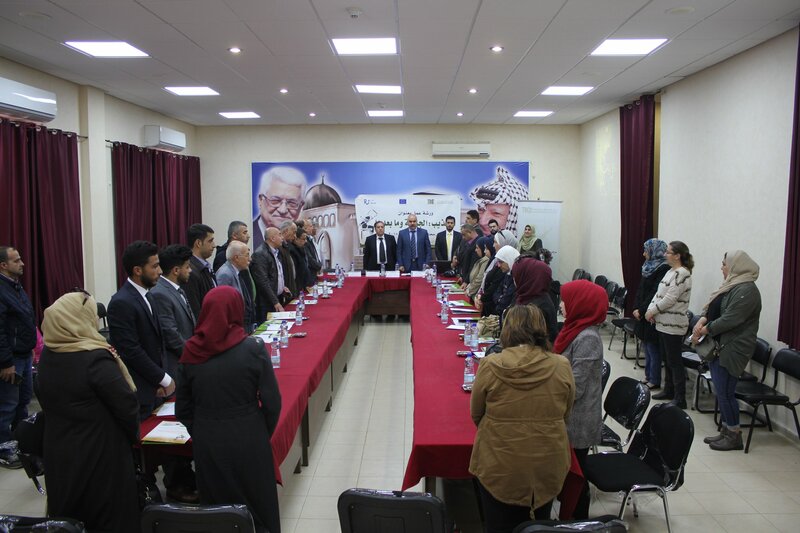 The 7th of March, Treatment & Rehabilitation Center for Victims of Torture (TRC), held the workshop: “Torture: The crime and after” at the Jenin Governorate Headquarter. The workshop which included four speakers was a success with about 50 participants, and was held under the EU funded project “Strengthening Support of UNCAT & OPCAT in Palestinian Authority Legislation to Stimulate a Human Rights-Oriented Palestinian Society”. The first speaker of the day was Mr. Amer Shahen, from the Office of the public prosecutor in Jenin, who spoke about the legal framework of the crime of torture. Second Speaker was Mr. Riyad Al-A’rda from the Palestinian Society Prisoners club, who spoke of how a lawyer can deal with his client whom is a victim of torture in a professional way. Third speaker of the workshop was Saher Mohammed who is a Clinic Psychologist at TRC and head of TRC’s office in Jenin. Sahar spoke about the common psychological consequences of torture on the victims. The final speech was from Amjad Abu Lafi who is an Advocacy Coordinator at TRC whom addressed the redress process for the victims of torture as stated in UNCAT and the general comments issued by the committee against torture. The workshop which was an overall success included a constructive discussion among participants and speakers after each speech, and at the end it was followed by Recommendations on the topics.